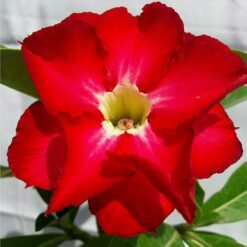 Adenium Plant Taking care and growing adenium obesum, a succulent plant more commonly known as Desert Rose, is not challenging, and the plant will reward you with its unusual shape, beautiful deep red to pure white flowers and its tolerance of occasional neglect. 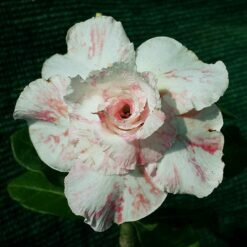 Full sun The plant needs a good quality, coarse potting mix of 65% perlite, 5% rock, 5% sand and 20% top soil with coir or a small percentage of peat. Do not add fertilizer until the plant has been in the pot for 2 to 3 months. Planting adeniums, desert rose plants, in the ground is a bit different than in pots. Make sure you put 3 inches of rock in the bottom of the hole for drainage and then use the soil as described. Remember using regular potting mixes and top soils will cause root rot! Water them 2 to 3 times a week. Not more than 95 degrees F. Established adeniums do not need much care. 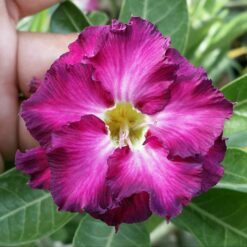 In fact, many people never fertilize their adeniums and they grow great. 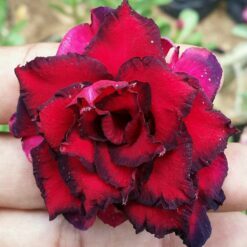 Do not fertilize when flowering because it may cause the flower to drop. Dormancy. These plants require special care, especially after entering dormant periods. It is advised to move containers to dry and frost-free locations and water the plants once per month. When the spring comes, increase the amount of water, because the plant starts entering another cycle. Daily watering is essential only during hot summer days. 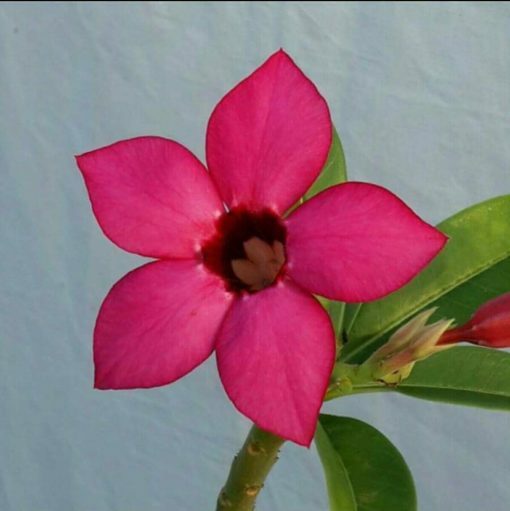 As the flower grows in warm climates, where the temperature always remains above 50F even at night, remember to water it regularly even throughout winter months. This will allow the soil to dry out between watering. Temperature is another thing you should pay attention to. In case you live in a subtropical climate, you can place the plant indoors until cold weather passes. 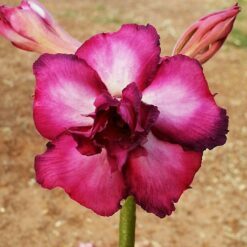 Adenium can also be grown outdoors in areas where the temperature never goes below 40. 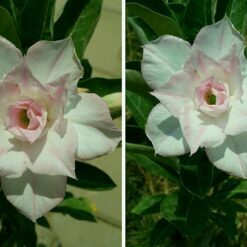 The desert rose can survive 40 degrees with little damage, but when the temperature is below 30, the plant dies. In winter the plant can freeze, even if it is placed in a greenhouse. 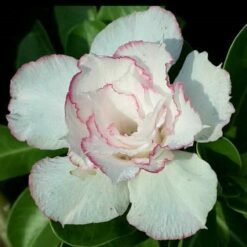 There are a few tips on how to care for adenium in winter. Many people treat it like a cactus. 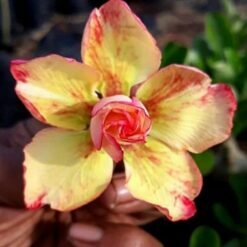 Caring for adenium, water it only on warm sunny days and move it to the house, when there is a risk of frost.